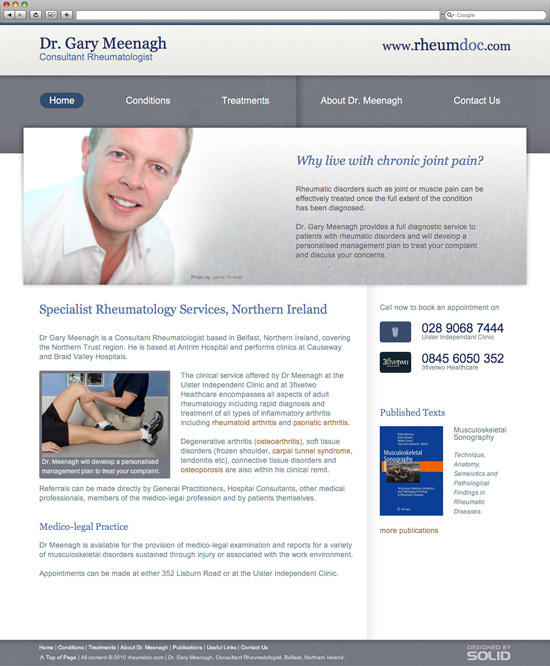 A Consultant Rheumatologist based in Belfast, Northern Ireland, providing a full diagnostic service to patients with rheumatic disorders. 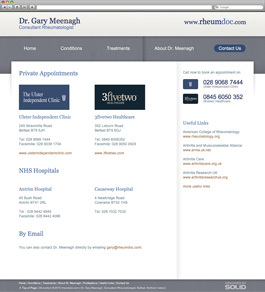 Dr. Meenagh was looking for a site that portrayed his warm and caring approach to rheumatology, while keeping with the professional aura of a well respected physician. Having headshots taken by Jamie Trimble Photographers certainly helped to get Gary's personality across, and we wanted to make that the forefront of the site. 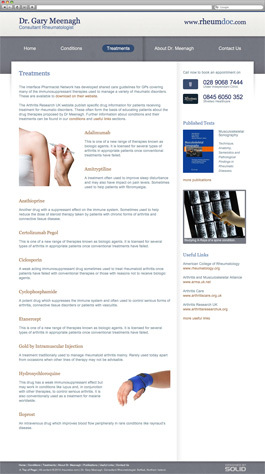 Using the site patients are able to find out more about their conditions and the treatments available to them. Gary also commissioned us to produce a print ad to further promote the website. The advertisement appeared in The Ulster Tatler's December issue 2010.